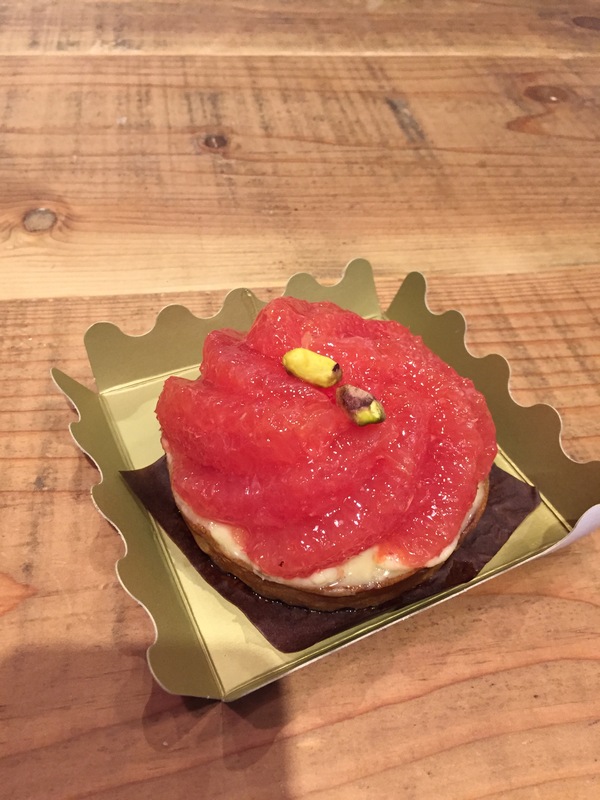 I looooove carbs and nothing beats walking into a bakery and smelling that delicious yeasty smell and shelves and shelves of different baked goods waiting for you to devour them! 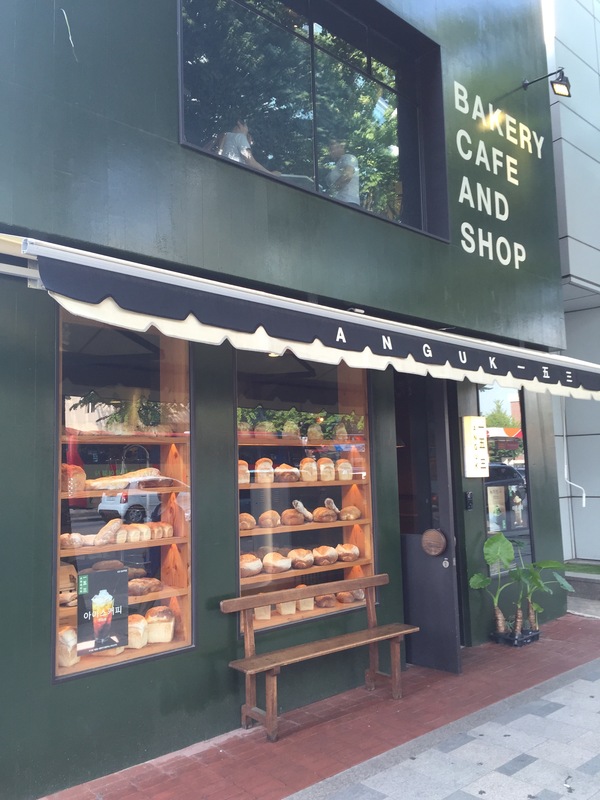 While my friend and I were visiting the Anguk area we happened upon this Bakery that is right by the subway station and we are so happy we did. 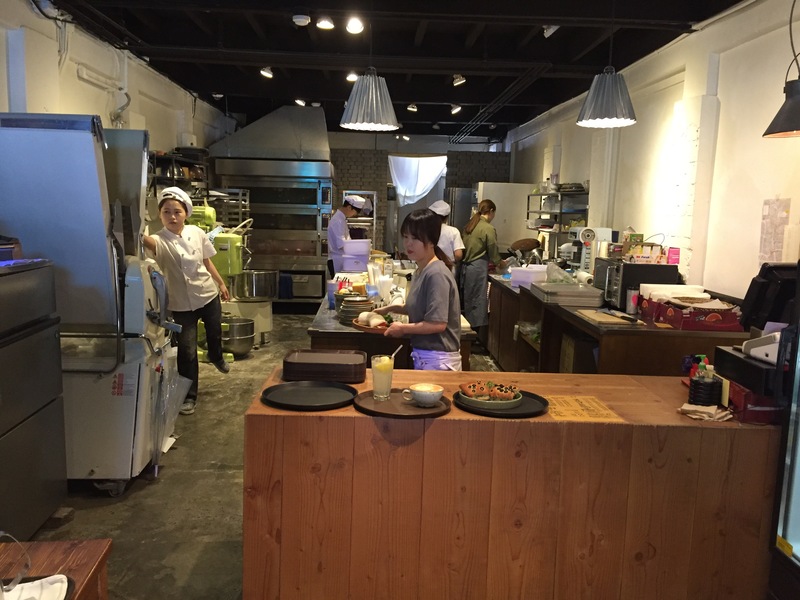 Anguk 153 offers deliciously fresh baked goods. 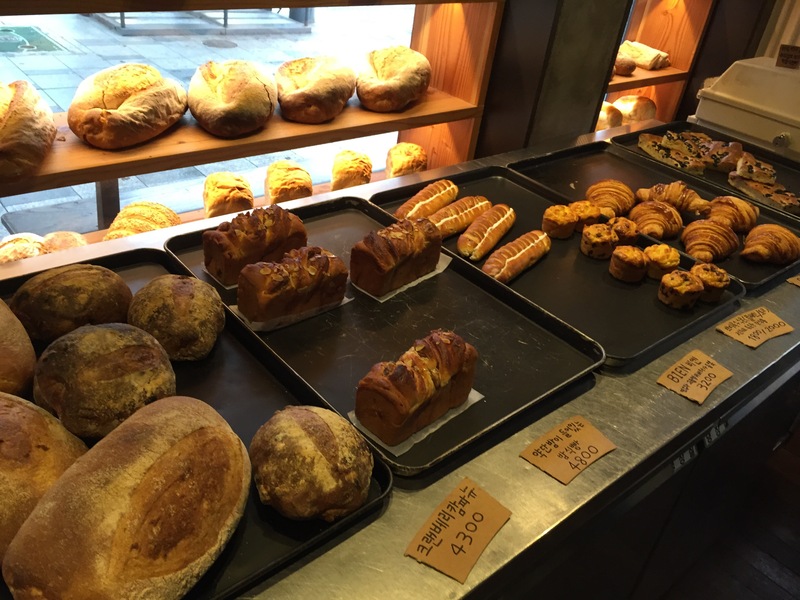 This is a great spot to pick up some bread for sandwiches or a rustic loaf to go with dinner. 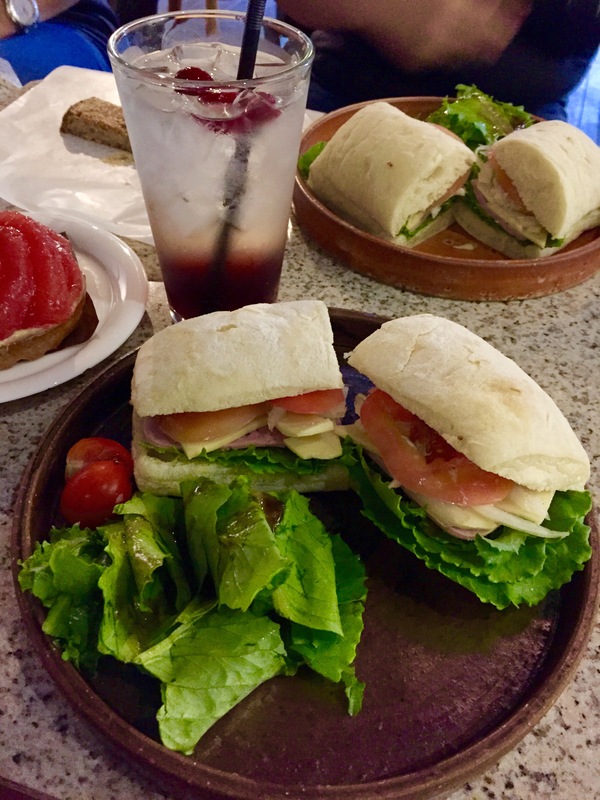 Or stop in to get some lunch, they offer a couple different sandwiches and some yummy fresh fruit teas! 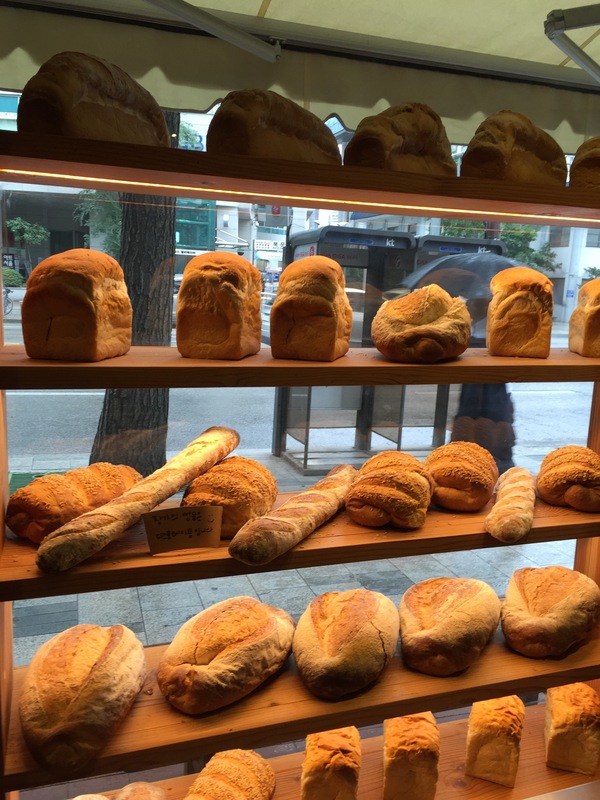 It has been hard to find fresh European style breads that are done well here in Seoul, but Anguk 153 does a great job. They have something for everyone whether your taste is sweet or savory, I’m confident that you’ll find something here.